Is your baby turning four months and already showing a lack of concern in breast milk? After four months, you will notice that your baby would be getting active more than ever. He will be curious and keen about everything around him. Moreover, tummy size would also be increasing which means that you should be giving some other food to your baby instead of only breast milk. Introducing solid food to your baby is no less than a milestone. It is a foundation for the health and development of your baby. Here are some top ideas for your 4-month-old baby as they begin the journey of their new milestone. This is the topmost suggested food for infants. Cereal can be prepared with breast milk or formula milk so that the cereal texture gives a familiar taste to the baby. It is one of the least allergic foods a baby can have! Rice and oatmeal cereal are best and least allergic for the babies. Avoid using wheat, barley or rye cereal as they contain gluten. Serve avocado to your baby, if you want to give a complete meal to the baby. Slice it and spoon out the flesh and mash it in puree form in a food processor. 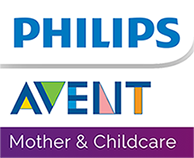 You can try preparing a baby meal in Philips AVENT 4-in-1 Healthy Baby Food Maker. Add breast milk or formula milk, to make the meal soupy. Bananas are the best and highly preferred food. It’s naturally sweet and babies love them. They are rich in fiber and also keep the bowel movements regular and digestive system running. Baby tummy problems are reduced with the consumption of banana. Butternut squash has the most pleasing texture for an idea baby meal. Baked butternut squash is best for your little one. You just have to prick the butternut squash and bake for an hour at 375 degrees. Cut it in slices, take out the fibers and seeds and spoon out the flesh and mash it with the fork to feed the baby. Sweet potatoes are one of the most popular first foods for babies. They are easier to digest and don’t cause any tummy troubles for the babies. Cut and boil the sweet potatoes and prepare puree with water or breast milk in a food processor. Carrots are another best baby food. Cut them into slices and bake them at 375 degrees for around half an hour. This is absolutely healthy for the baby. You can serve cooked apples to your baby but after consulting with your doctor. Peel and dice the apples and boil or steam them until they are soft. Make sure you don’t over boil the apples and lose all the nutrients which are preserved in it. 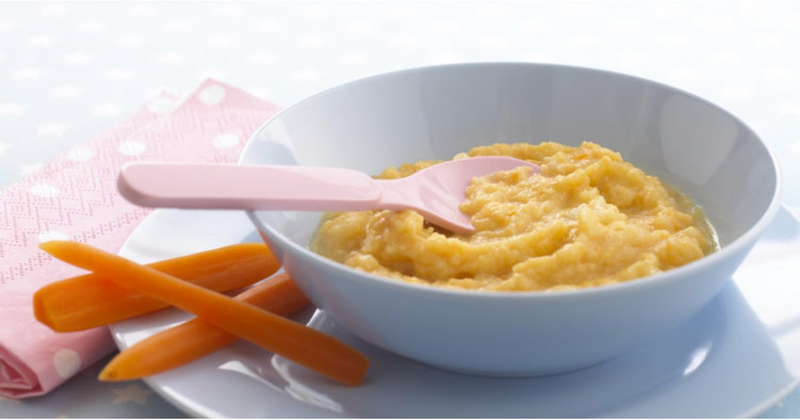 Blend the boiled apples in Philips AVENT baby food steamer and blender until smooth. Pears are safest for babies and have rare allergic reactions. It is gentle on babies little tummies as they are less acidic. Steam pear puree can be added in baby’s cereal and fed to the baby. Ideal veggies for babies are fiber filled peas. Steam the peas for around 6 minutes and blend them to make a puree in a food processor. Strain them and discard the solids. Pea puree thickens once refrigerated so always mix in a small amount of water, breast milk or formula milk whenever you are heating. Breast milk provides total nutrition to the baby. Never ever think of replacing breast milk with formula milk until the baby is 12 months old. Moreover, skimmed milk and low-fat milk are highly discouraged to be given to the child until he is around 2 years old. Using milk in baby food makes the food totally healthy and delicious. If you have any tips on how to introduce solid food to an infant’s diet? Feel free to share with us!